On site, in the middle of the night, we'll be there to keep you running. 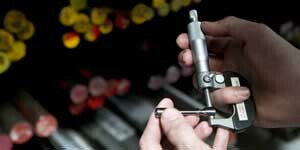 A quick repair or a complete solution from design to build, we have the knowledge and the experience. From our base in Central Scotland we can deliver across the UK. We'll get it to you FAST. 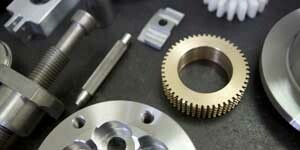 Preston Components delivers precision engineering, machining and fabrication services to a huge range of clients. From our base in Hillington, Glasgow, we are ideally placed to support customers across central Scotland, the UK and Europe. We understand that a machine failure costs you money. That's why we'll go the extra mile to get you back up and running. We're on call 24/7 for our key clients. Whether it's a temporary on site repair, machining a new part, or designing a whole new solution, we'll do whatever it takes to get you back in action. That's why our customers trust us and come back to us year after year. 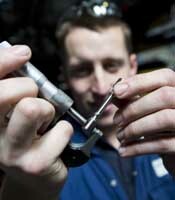 Contact us now to find out how Preston Components can help you. 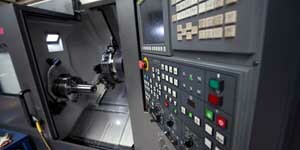 Turning and milling services using both conventional and CNC lathes and milling machines. 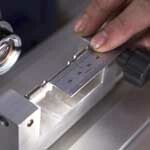 We can handle a wide range of materials, from plastic to steel. A one off repair or replacement part, to large volume runs. 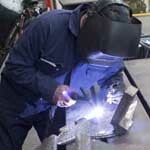 Welding in stainless or carbon steel, or cast iron. Working to the customer's drawing, or we'll design if required. Reverse engineering or bespoke design. We can identify a problem or propose a solution. An individual part or a complete design. An on site repair, or on our premises. We'll keep you running until a permanent solution is in place. With hundreds of years of experience across a huge range of industries, we have seen and done it all. That gives us the kind of expertise that only comes with long experience. That's why our customers trust us to come up with the right solution - when they need it, where they need it. We believe that if you're not moving forwards, then you're moving backwards. That's why we're constantly innovating. Whether it's improving our own processes or designing a clever solution to a customer problem, we're always breaking new ground. Contact us to move forward with Preston. We understand the importance of investment. This approach helps us keep our quality high and our customers happy. WHY WORK WITH PRESTON COMPONENTS? Our clients love working with us, and you will too. Here are some of the reasons why. Our time served engineers have the design and technical skills to tackle just about any job. Some of our people have been with us for 35 years. Our engineers have worked all over the world in every sector. We’ve seen and done it all. 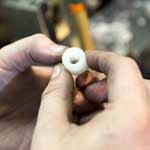 From a one off, bespoke part to large production runs or projects, no job is too big or too small. We’ll do the job on your premises or ours, whichever is most effective. Any time day or night, we’ll do what it takes to get you up and running. 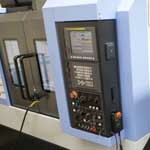 We continually invest in our systems and our equipment to make sure we stay at the cutting edge. 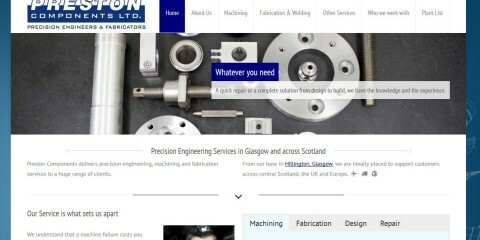 A new website for Preston Components Preston Components are delighted to go live with their new webiste. The new site was designed and built by On the Spot Internet. Yvonne McCrudden of Preston explains “We knew ..